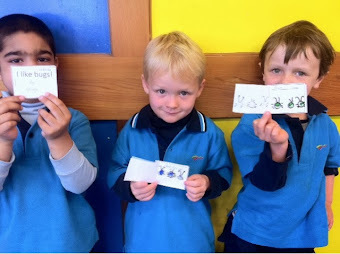 Today in class we made our own books about bugs. Our big book this week is all about bugs. 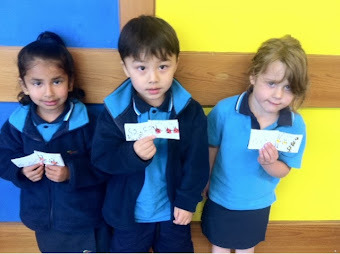 We used our fingerprints in water based paint to make our bugs and the used black market to make their legs. The story goes like this: " I like bugs! Black blue bugs, Green bugs, Fat bugs, Lady bugs, I like bugs! ".